Carbon Steel, Stainless Steel and other specialty grades of metal are available. 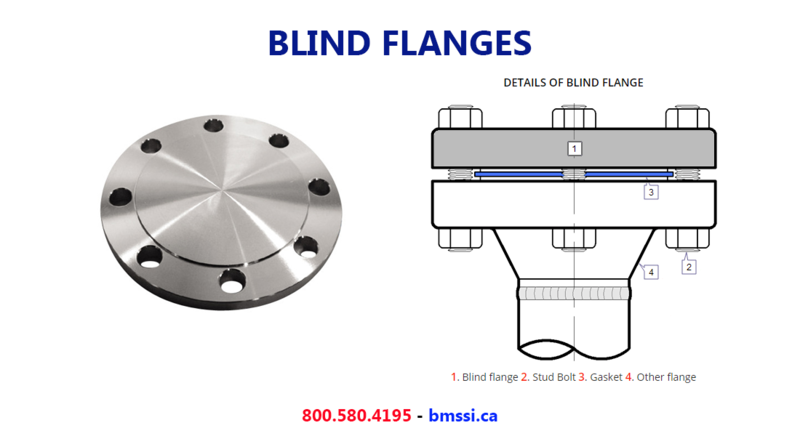 Blind Pipe Flange is used whenever a line must be capped of at a flange. It is good practice to install blind pipe flange at the end of header or at location where future tie-ins are anticipated. Blind pipe flanges are also used extensively for manways, in which case a davit is recommended for ease in handling the unbolted manway cover. Blind pipe flange is specified by ANSI B16.47. Benchmark offers blind pipe flange in A105, A105N, SS316, SS304, A20, High Yield & Nickel Alloys. Contact US for your flange buying needs.